A recent University of Manchester study has indicated that there is a new class of drugs which can treat ovarian cancer by stopping its cell growth. This study, led by Professor Stephen Taylor, from the University’s Drug Discovery Unit at the Cancer Research UK Manchester Institute, and published in the Cancer Cell, concluded that a new generation of inhibitors may be effective in killing ovarian cancer cells. The specific inhibitors that were studied targeted the DNA replication of cancer cells and blocked their growth. They also disrupted the performance of certain enzymes which helped cancer cells repair their DNA and reproduce. However, these inhibitors have yet to be able to target all different enzymes that help cancer cells proliferate. The remaining enzymes compensate for the affected ones and still cause the cancer cell to grow. As the result of a collaboration between the University of Manchester, the Cancer Research UK Manchester Institute, and The Christie, researchers were able to create drugs that utilise the strengths of the inhibitors studied. Through their screening of ovarian cells in the laboratory, scientists found out that ‘switching off’ certain genes that were involved in DNA replication resulted in higher inhibitor sensitivity. One of the researchers, PhD student Nisha Pillay, explained: “Before a cell divides, it must replicate its DNA. This critical process ensures the necessary amount of DNA is passed on to its daughter cells. Our research has shown that an inherent defect in the ability of an ovarian cancer cell to replicate its DNA can be exploited by the PARG inhibitor to kill the cancer cell. Also, the researchers explained that their new drug is safe from drug interaction and can be used alongside other drugs including CHK1 and WEE1 inhibitors that kill cancerous cells. Despite its importance, it is significant to highlight the fact that this research is currently still being tested and researched and might not prove to be a ‘cure’ for ovarian cancer. Human trials could still be many years off, and even more years before it becomes a regular clinical drug. However, this new discovery may be breakthrough that will hopefully will carve the path for the future advances. Ovarian cancer is considered to be the sixth common cause of cancer in women, especially women over the age of 50, and takes more than 4000 lives annually. In 2014, It was estimated that the incidence rate for ovarian cancer will rise by 15% by 2035 in the UK. 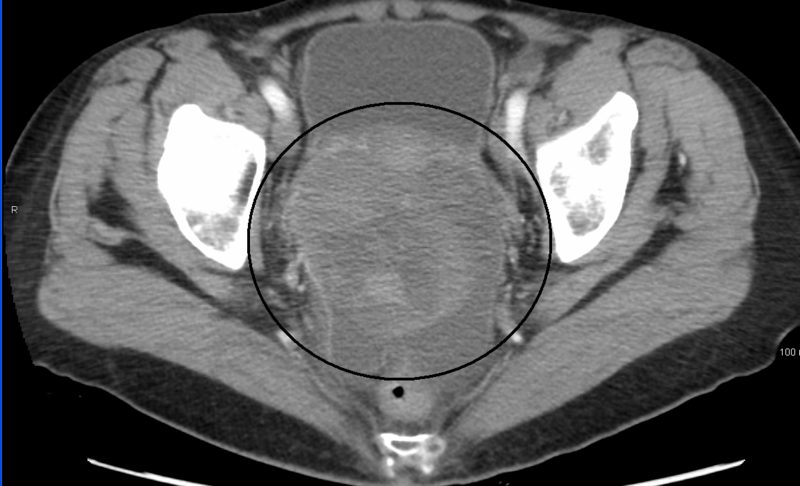 According to Professor Stephen Taylor, “sadly, for the majority of women diagnosed with ovarian cancer, the cancer relapses within 12 to 18 months of their first treatment, and so there is a pressing need to develop new therapies to treat this condition.” Unfortunately, despite its significance and pressing concern, the diagnosis and treatments for ovarian cancer lag behind other diseases, possibly due to an institutional neglect of female-specific health conditions.